Today's verse is from from one of the New Testament epistles. I'm not much of a fisherman. 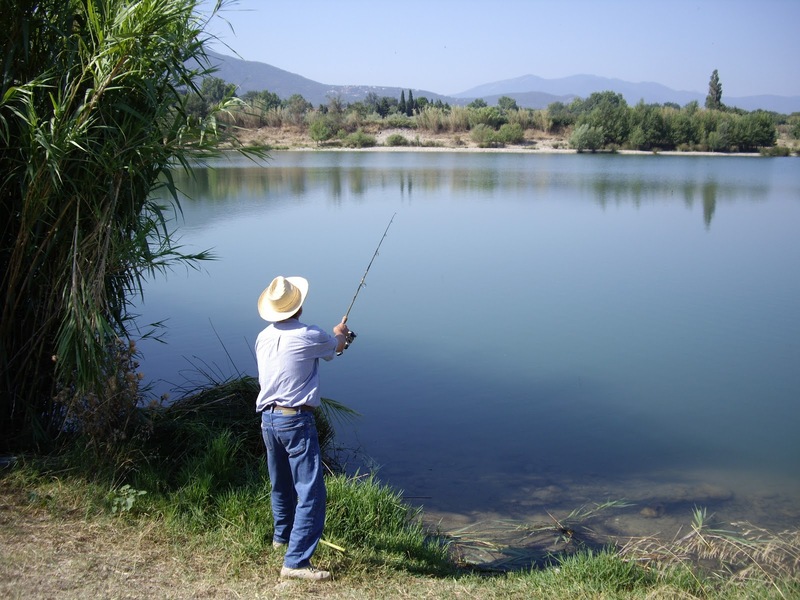 I remember being younger, visiting my great-aunt and great-uncle in Acapulco, Mexico, and them taking me fishing for the very first time. I was probably five or six. I don't think I caught anything, but that wasn't the point. It was fun. And adventure. And I learned (sort of) how to use a fishing pole. Not that I ever needed that information again (at least not that I remember). But I knew what it meant to cast a line out. You'd "toss" it out into the water, and once that fish grabbed it, you reeled it back in. So you can imagine my issues when I applied this definition of "cast" to today's verse. I stuck my worries on the end of a fishing pole and threw them out into the lake of the Lord's promises. But after a while, I got tired of waiting for answers, so I reeled them right back in. And it did me not a bit of good. Because those anxieties hadn't unhooked. They came right back onto the shore, and settled back, nice and comfy, in my heart again. And it was as if they'd never left me in the first place. Thankfully, that's not the type of casting Peter, or the Lord, speaks of here. The Lord loves us so much that He wants us to take each of our concerns, all our worries, every care, and give them to Him. For good. No reeling them back in. He can handle them MUCH better than we can. Thanks for reading! 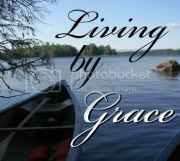 Be sure to stop by Vonnie's blog for more Monday Manna - and join me for discussion at Living By Grace. Love this analogy. And its so true, we pray and then gather our cares back up and continue on our way. I want to learn to cast my cares and leave them at His feet. Wonderful post! I agree the analogy is great one. I must say I've done my own share of casting my cares that way. I'd never thought of "casting" that way in relation to this verse. It's true–we do tend to reel those worries back in. 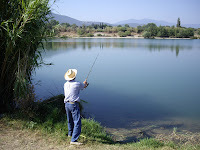 How about casting out the worry-worm and reeling in the big "peace" of fish?